Do you live in Eagan? Do you need auto glass or windshield repair or replacement? Auto Glass Express can help. Whether you are shopping at Twin Cities Premium Outlets or at your home, our experienced technicians will travel to Eagan to take care of your auto glass needs (at no extra cost). We can come to your car in Eagan with our mobile windshield service. We service cars of all makes and models, while specializing in luxury vehicles. In addition, we're approved by all major insurance carriers and have the prestigious AGRSS certification from the Auto Glass Safety Council. Auto Glass Express has been in business for more than 20 years. We offer a lifetime warranty and super customer service. 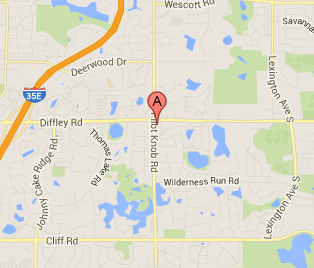 Our skilled technicians will come to your car wherever it may be in Eagan. We pride ourselves on super customer service and perfect windshield installation. Schedule an online appointment or call us today at 651-494-9252.